Year: 1950 Item #: 598 Views: 4,208 Comments: No Comments. 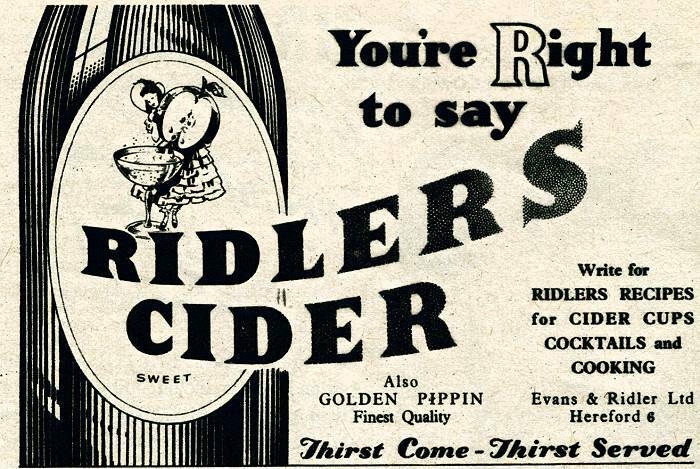 You're Right to say Ridlers Cider - Also Golden Pippin. Thirst Come - Thirst Served.